The Perrys just had the first test shots of the Plastic Napoleonic British Light Dragoons so they thought to put some together and show you. There are larger pictures on there website (as well as a frame shot) on the plastic lists, where they’re up for pre-order. 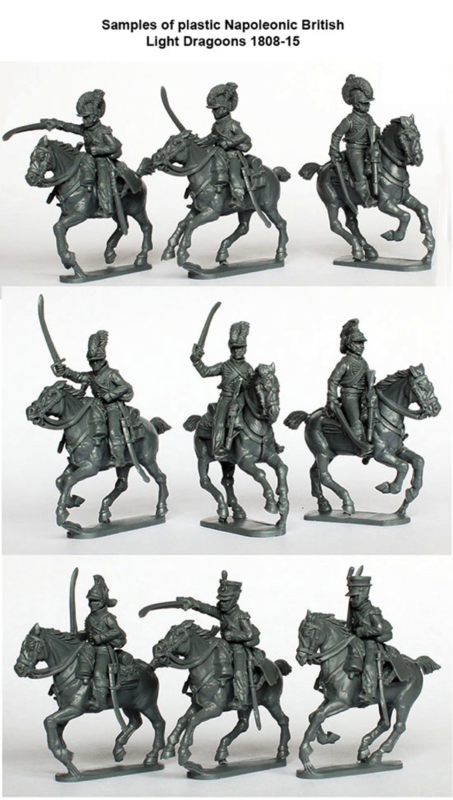 This is the troopers frame, you’ll get four of these frames in the box as well as four horse frames (the same as the British Hussars) and a command frame. The box covers the Peninsula war as well as the Waterloo campaign uniforms 1808-15. However with a simple paint job (or modelling job) you can add a queue and take the date back to 1800.